1982 – The first completely computer animated video wins an Academy Award for best animated short film. 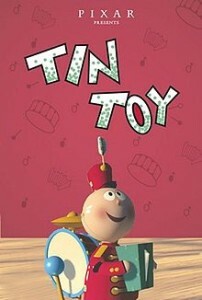 “Tin Toy” by Pixar (now a division of Disney) was an animated short film about a toy named Tinny – a one man band – who was being played by an infant named Billy. The short film lasted 5 minutes and cost $300,000 to make. The short film also won awards at the Seattle International Film Festival, World Animation Celebration, and National Film Registry. A sequel was in the works, but Tinny was not a popular toy for the kids. Therefore, the film was not made as Pixar concentrated on the movie “Toy Story”.